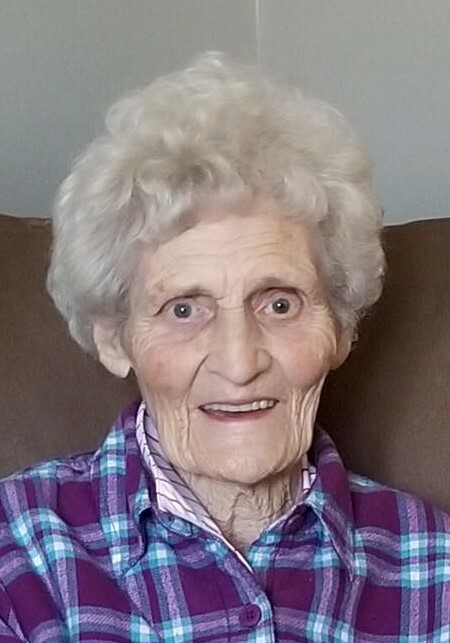 Margie "Hiney" Willene Travis, 88, of Clarksville, TN, passed away on Monday, January 21, 2019, at her residence. Margie was born on August 14, 1930, in Stewart County, TN to the late Eric Robinson and Elizabeth Hayes Robinson. She was also preceded in death by her husband, Arthur Travis. Celebration of Life Service will be held on Friday, January 25, 2019, at 1:00 p.m. at Mt. Hermon Baptist Church with Rev. John Richardson and Rev. Adam Brown officiating. Visitation will be held on Thursday, January 24, 2019, from 4:00-7:00 p.m. at Neal-Tarpley-Parchman Funeral Home and Friday, January 25, 2019, from 10:00 a.m. until the hour of service at the church. Margie was a retired OB Technician with Clarksville Memorial Hospital. She was a member of Mt. Hermon Baptist Church. Margie is survived by two daughters, Patricia (William) Elliott and Barbara Brown of Clarksville, TN; two granddaughters, Regina (Chris) Hampton of Clarksville, TN and Stacy (Zach) Boutieller of San Antonio, TX; sister, Dorothy Calvert of Clarksville, TN; and five great grandchildren, Kaelyn Hampton, Caleb Hampton, Dylan Boutieller, Andrew Boutieller, and Heath Boutieller.